Mt. 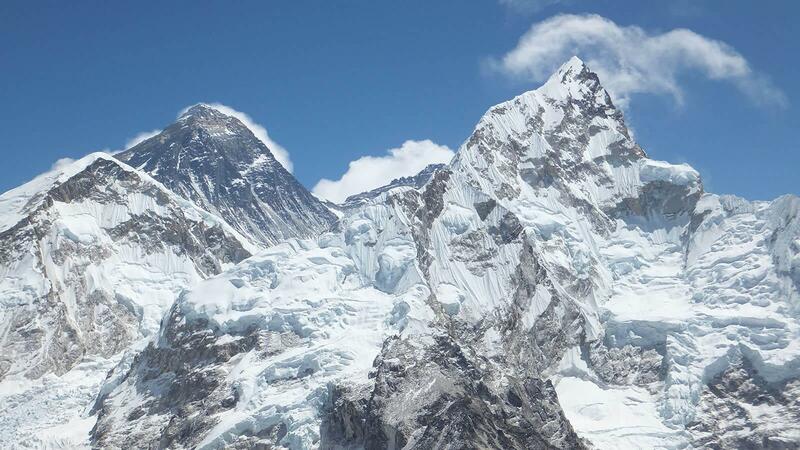 Everest stands 8,848 meters tall, above sea level, making it the highest peak in the world. The mountain got its English name “Mt. Everest” from a British Surveyor General of India, Andrew Waugh. Waugh named the mountain after his predecessor in the post, Sir George Everest. In Sanskrit and Nepali the mountain is named Sagarmatha, meaning “Ocean Mother”, in Tibetan it is Chomolungma, meaning “Goddess Mother of The World” or “Goddess of the Valley” and in Chinese Zhumulangma Feng. Mt. Everest is located in the Mahalangur range of the great Himalayas in South Asia on the international border between Nepal and China. Information from global positioning instrument states that since the 1990s, the mountain is continuously moving few inches towards northeast direction and a rising fraction of an inch every year. Mt. Everest base camp is the main attraction for trekking in Nepal. It attracts experienced mountaineers, climbers, and trekkers from all over the world. Established in 1976, Sagarmatha National Park has become a well known tourist destination for trekking in Nepal. It became the country’s first national park to be inscribed as a Natural World Heritage Site in 1979. The Sagarmatha National Park is located in the eastern part of Nepal. It is a protected area in the Himalayas, dominated by Mt. Everest. The park covers an area of 1148 square km and is located in the famous Solukhumbu district. Along with Mt Everest, the park includes other familiar peaks such as Lhotse (8,516m), Cho Oyu (8,201m), Kangteg (6,782m), Kusum Kanguru, Kongde Ri, Baruntse, Taboche, Cho Polu, and Cholatse. There are many familiar mountain high passes between 5000 to 6000m, including Cho La, Renjo La, Khongma La. The park is surrounded by the dramatic mountain range, glaciers and majestic peaks including Mt. Everest. The park is a home to different rare species like the red panda and snow leopard, wild goat), musk deer, weasel, Himalayan black bear, langurs, jackals, and the Himalayan mouse. Every year 152 species of birds migrate to Sagarmatha National Park every year out of which 36 are breeding species only available in Nepal. Flight from Kathmandu to Lukla. Drive or Flight from Kathmandu to Phaphlu. Bus from Kathmandu to Jiri. 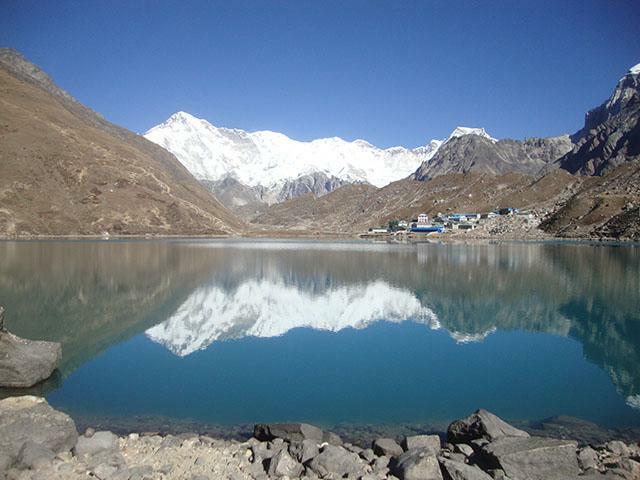 *Note: We offer short and long days treks as indicated under Everest Region button. Please have a look!